QUẢNG BÌNH – The central province of Quảng Bình hopes to grant investment licences and sign commitments to implement projects with a total investment capital of up to US$4 billion during an upcoming investment promotion conference. Province officials announced the plans at a press conference in Đồng Hới City on Friday. Conference activities will include an investment promotion event in Singapore on July 5-8, a seminar on co-operation in developing tourism and connecting world heritages in Việt Nam sometime in July and an official investment promotion conference on July 22. Vice Chairman of the provincial People’s Committee Trần Tiến Dũng said that during the conference, the province will release a list of 48 important projects in such areas as tourism, trade and services, eco-resorts, agriculture, industry, health, education and infrastructure to call for investment between now and 2020. 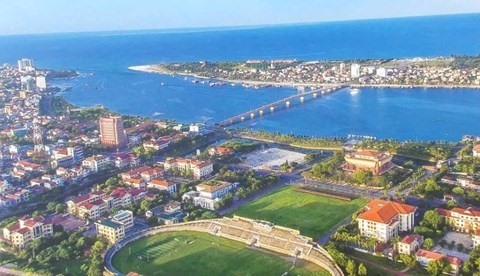 Among these are a 400ha coastal tourism and resort complex in Quảng Trạch District that requires a total investment of over VNĐ1 trillion (roughly $44 million), a VNĐ3 trillion project to grow herbal and fruit trees in Lệ Thủy District and a VNĐ5 trillion auto assembling plant. The officials hope that through the event, investors will see potential and opportunity in the province and recognise it as an attractive destination for domestic and foreign businesses.